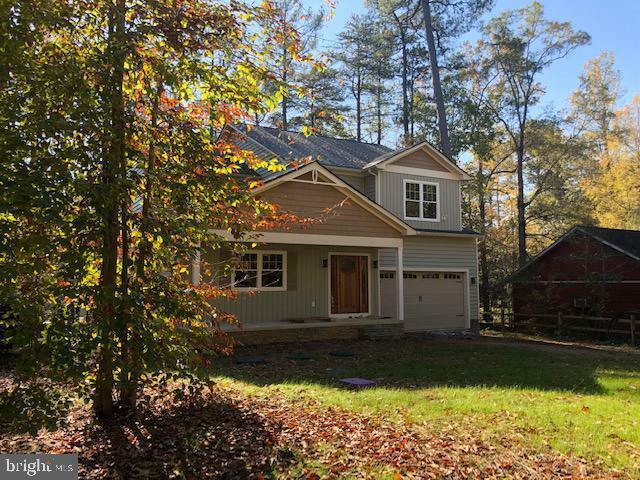 **NEW WATERFRONT HOME** Take in the tranquil views of the lake in your quality built Craftsman-style home located in amenity-filled Lake Caroline. At 3, 169 sq ft, this 4 bedroom, 3.5-bathroom home offers plenty of space for living & entertaining. A main floor bedroom and spacious upstairs master bedroom suite works for those individuals who want the convenience of having a bedroom on each level. There is also laundry hook-ups on each floor. This home has been finished with many upgrades including hardwood flooring downstairs, granite & stainless in the kitchen, a large rear deck perfect for taking in the lake views and much more! Estimated completion is late Fall/early winter. The Lake Caroline community is centered around a 277 acre pristine lake and offers many amenities such as boating, fishing, swimming pool, club house, rec areas, and much more. Directions: Once through guard gate, continue straight on Lake Caroline Drive; right on Lexington, then pick up Lake Caroline Drive again. Follow to the west side of the lake until you see 482.